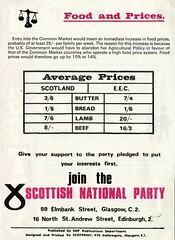 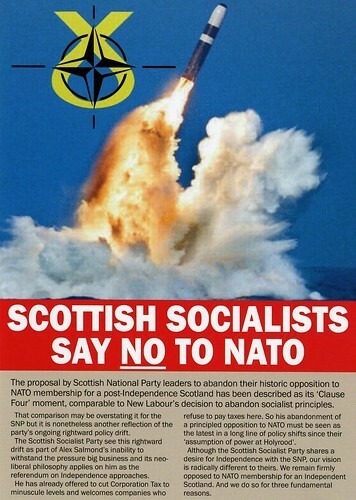 Scottish Socialist Party leaflet, November 2012, originally uploaded by Scottish Political Archive. 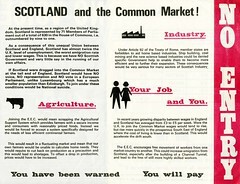 This leaflet was collected at the Radical Independence Conference. 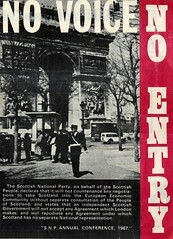 The conference, held in Glasgow on 24 November 2012, saw over 800 people come together from across Scotland to discuss how to build a vibrant, grassroots – and radical – campaign for an independent Scotland.